The idea for a service project to Belize was planted after the 123rd made a trip to the Czech Republic in 2014, where we did a small service project restoring a war memorial; we also visited Czech schools and had many cultural exchanges with the Czech Scouts and Scouters. We gained confidence from this experience to pursue other international projects. Following the Czech trip we wanted a bigger challenge. We decided to go on another international trip, this time to the White Mountains in New Hampshire. On our four-day stay, we successfully managed to climb four peaks that were over 1,500 metres tall. This trip anchored international service as a Group goal and had us looking for a project that would challenge us as a Group both physically and intellectually. We all wanted the excitement of travel, but with a purpose or benefit to others, and especially other Scouts. Right after the trip to New Hampshire, we set the goal for the following year, which was to do a service project in Belize. 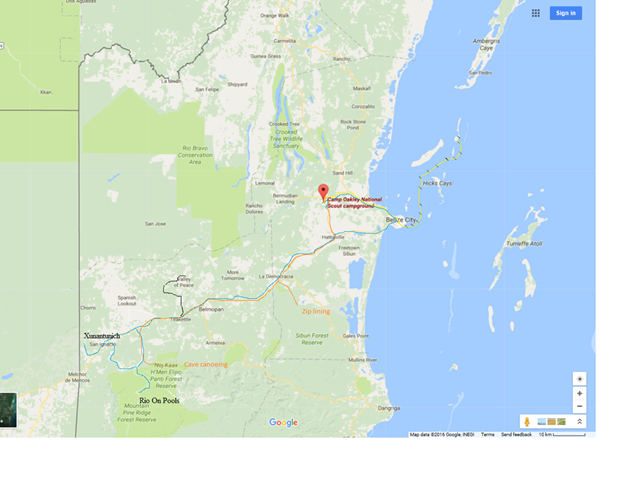 Over the course of a year we were able to contact Hilberto, one of the head executives in the Belize Scout Association, and organize the idea of traveling to Belize to train 35 youth on the FOCUS course (a leadership course created by youth, for youth). We would also help repair a training centre at their National Scout Camp ground. 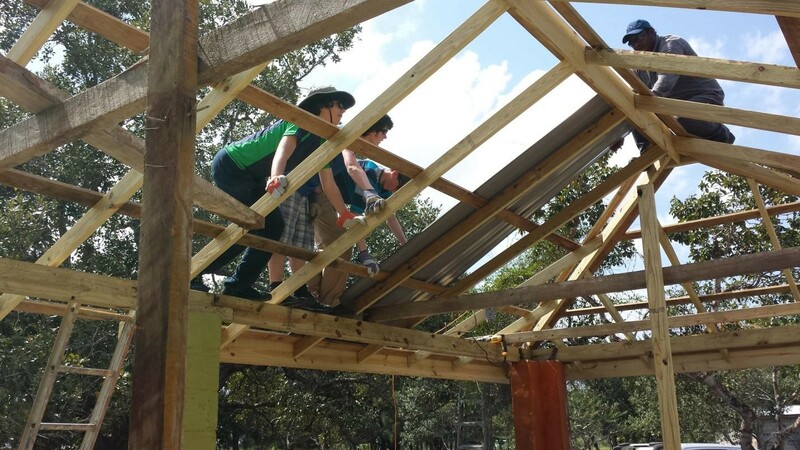 To get the trip off the ground, we knew we needed something big but could not count on funding that may or may not be given in such a short time for the repairs to the Belize Scout’s training centre. 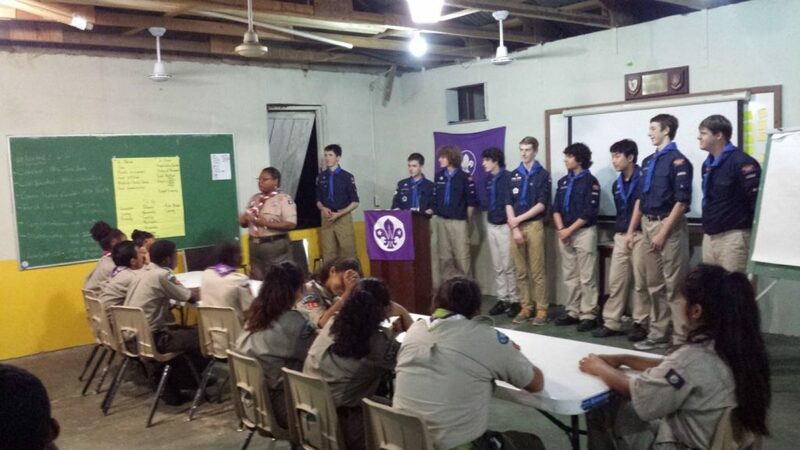 We needed a second approach, so then came up with the idea of giving the FOCUS course to the Belizean Scouts. Easy enough, right? 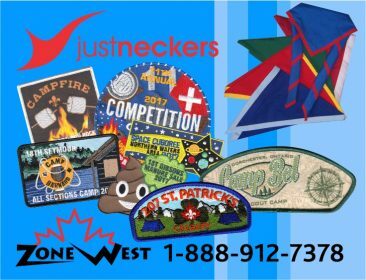 Well, we first needed to take the course ourselves, as well as learn the material to be able to present it to the Belizeans, as well as make the material relevant to the Belize Scout organizations. This required a lot of work on the material and research into the Belizean Scout structure (thank you, Scouter Iain!) to gain knowledge of our audience. 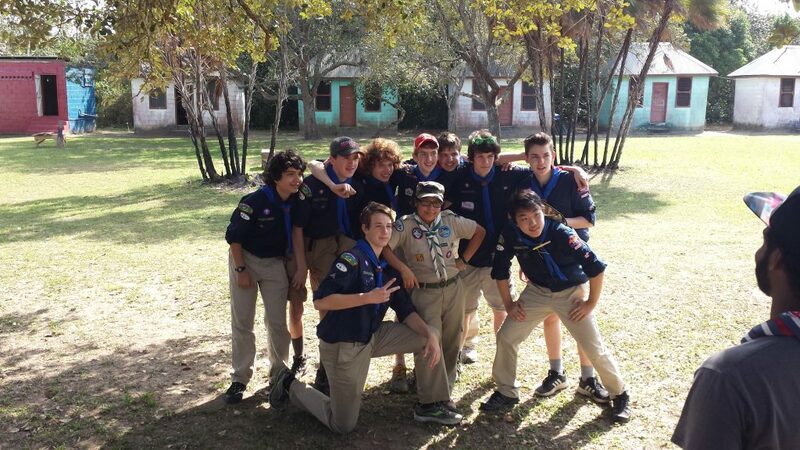 We also took the Scout Trainer 1 course which helped us deliver the material to the Belizeans. Then we practiced. And practiced. 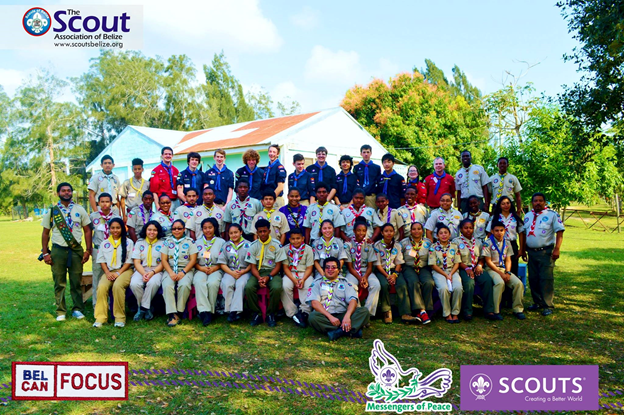 We gave up many weekends and nights to master the FOCUS course, but the end result was worth every hour we spent after receiving the friendly and open feedback from the Belizean Scouts. We still sometimes can’t believe we actually did it. It took a lot of planning (looking for flights, arranging a place to stay in Belize, transportation in Belize, building in back-up plans for whatever could go wrong and the multiple fundraisers we had to do in order to get some of the funds for the trip), but in the end we managed, and now you can read how our adventures in Belize really went. On March 9th, 2016, after almost a year of preparation, we were ready to go off on one of our biggest adventures yet, this time to Belize. Everyone arrived at the airport at 5:00 pm. The first leg of our trip was to Montreal, which was a 181 km flight from Ottawa. Believe it or not, we had a twelve-hour layover, but this was the cheapest way to do it, even with a hotel. It took us 24 hours to reach our final destination, the Belize airport, where we received a warm welcome from a Belizean Scout delegation. The Belizeans got us fed and to the camp that we would call home for the next two weeks. On our first day at the camp, we were on our own as the Belizeans that had guided us had gone home after showing us how to light the stoves and where the food was stored. We managed to make our breakfast in a strange camp using Belizean gear. We then started preparing for the Belizeans that would arrive that afternoon. It was do-or-die time, and we all had butterflies waiting. The Belizeans arrived and started setting up their tents and equipment. This had a soothing effect upon us, as this could be any camp—only it’s 32 C and we were all dressed in full uniform about to address 45 people we’d never met before (we had 35 participants and 10 Scouters—and cooking staff watching; no one told us about that part). Between dinner and the opening we started talking to a few of the Belizean Scouts. At first it was only a few that we talked to, but before the end of the night we had made many new friends. The introduction was the only part of the FOCUS course we did that night. It went perfectly; it acted as the appropriate icebreaker as it eased our nerves and we were good for the rest of the course. This was not going to be your normal FOCUS course. The Belizean Scouters were watching, the Scout President was even there for our opening. 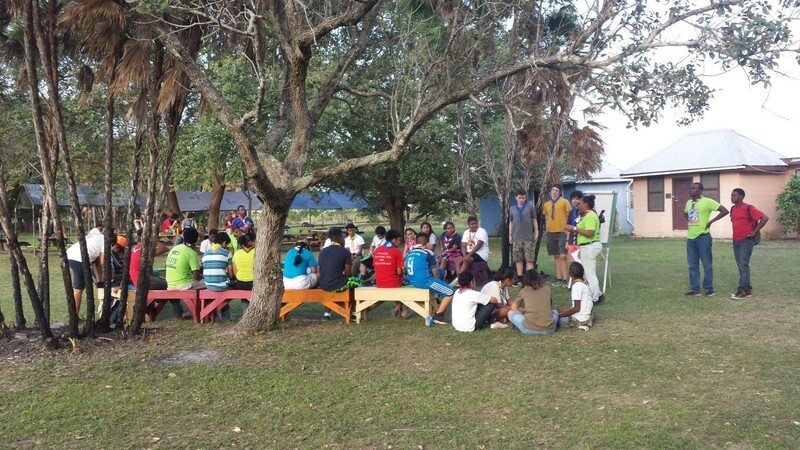 During breaks and at meals we started to see the Canadians and Belizeans mixing together, and we noted that we had many of the same dreams and goals. During one break before dinner the Belizeans introduced us to a game called Argoya India; the focus of the game was to get rings onto a stick that was being held by a person on your team waiting on one side of the field. And it was full contact! We had a huge tournament until it was time for dinner. By the end of the FOCUS course we were not sure who had been taught more, the teachers or the participants, but it something we will never forget, with friendships formed to last a lifetime. There is no way to express how this has affected both groups, but we walked away knowing something special had happened that we will always remember. It was another first for us when we started construction on the training centre in the camp. We had spent months preparing and training for the FOCUS course, but had spent no time at all preparing for the construction project. It was trial by fire! Ten minutes into the job our first aider was put to work bandaging up a leg. He made a quick assessment of our attire and sent us to change into long pants for protection against cuts. By the end of the project, we had learned how to work on constructing a tin roof, wiring in electrical sockets and switches, and the importance of taking water breaks when working in thirty-degree temperatures. This was a trip we will never forget and are thankful we had this incredible experience.